Because the first one sold out so quickly, they’ve just added a second date: August 31st!!! For those of you who have a little foodie in your life, what’s better than free fine dining! 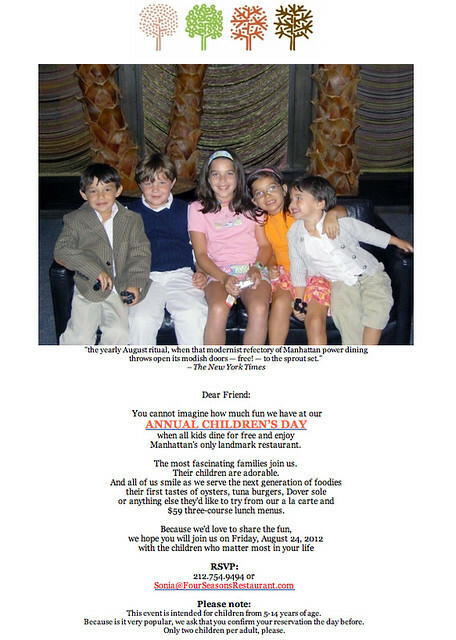 Check out The Four Seasons Restaurant for their Annual Children’s Day!